Welcome to the end of the year! It’s been a great year here at Food Storage and Survival. From the move to our new domain to adding baby brother to the mix to my first video review and the preparedness stocking swap it’s been an eventful year from start to finish! A great big thank you to all my readers–you guys and gals make this a lot of fun. 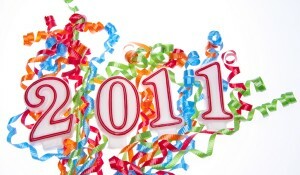 I’ve got some great plans for 2012 that I think you’ll enjoy coming along for. And if there’s anything you’re wanting to learn, do, or have tested or demonstrated here on the blog, let me know and we’ll see what we can do for you this coming year. Have a happy and safe New Year, and we’ll see you all in 2012! Thanks for all you do. You have made a big difference in how we view things in general. Happy New Year!